Hollister New Image Two-Piece Extended Wear Flat Cut-to-fit FormaFlex Skin Barrier With Tape Border can be stretched to the shape and size of the stoma. This skin barrier does not require the use of scissors. Confidence assured with the floating flange provides utmost security with the patented locking system that audibly clicks into place. 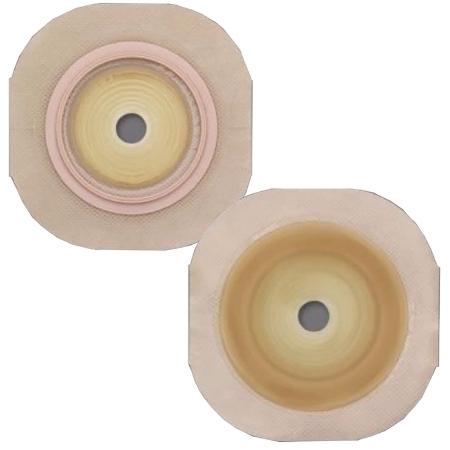 It eliminates pressure on tender post operative abdomens with the exclusive floating flange.